As you may know…Todd Knisley and Dan Gable here at the shop are hot sauce enthusiasts…what you might not know is that Don Fallon LOVES LETTUCE…yes…you can catch Don on his break sitting and eating a bowl of plain lettuce, no toppings, no dressing….just lettuce. 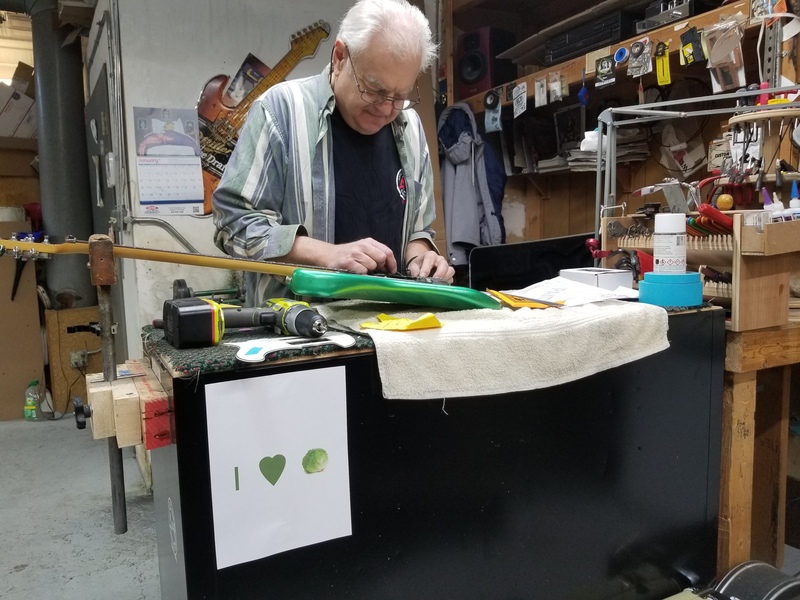 Don loves lettuce so much he even has a fancy little sign at his work bench. If you also are a fan of a bowl of plain lettuce, stop in and set down with Don and you both can enjoy a bowl….ohhhh…and even the guitar Don is working on is the color of lettuce.